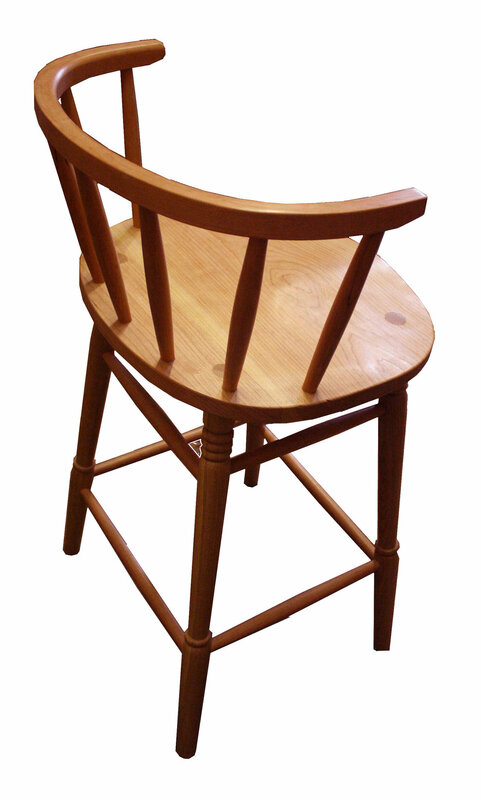 This set of four bar stools in solid cherry was commissioned along with a kitchen island unit. 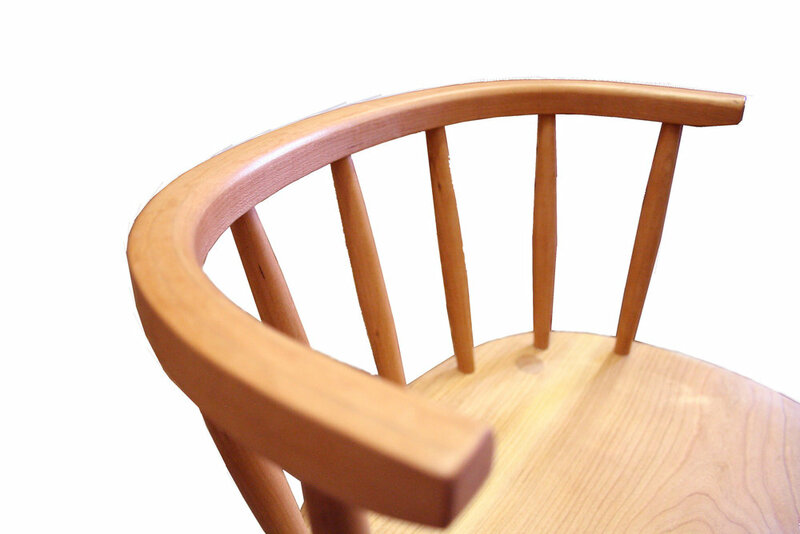 The seat was profiled to form and ergonomic sitting position. 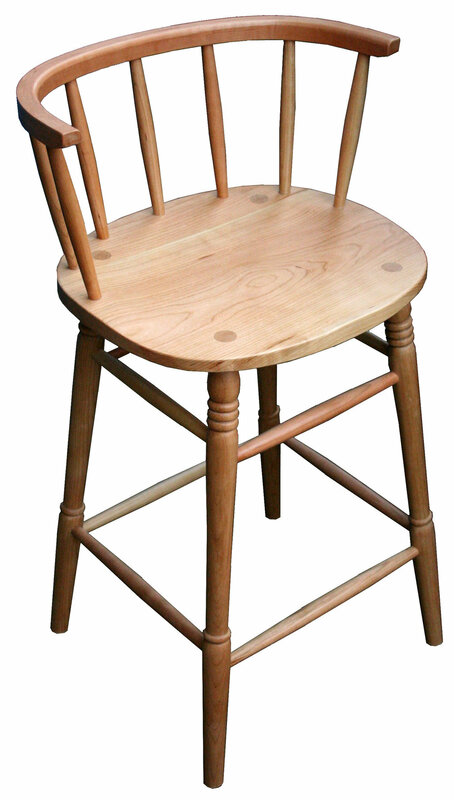 All the legs and spindles were individually turned. You can see more pictures of the Island unit here.